As this is our very first blog, we wanted to take the opportunity to explain the rationale behind our investment strategy and specifically why we are attracted to UK residential property. UK residential property has delivered better long-term value growth on a total returns basis than any other investment class over most time-frames in recent history (see graph below). Returns have also typically been less volatile than equities and historically there have been very few periods of sustained house price falls. 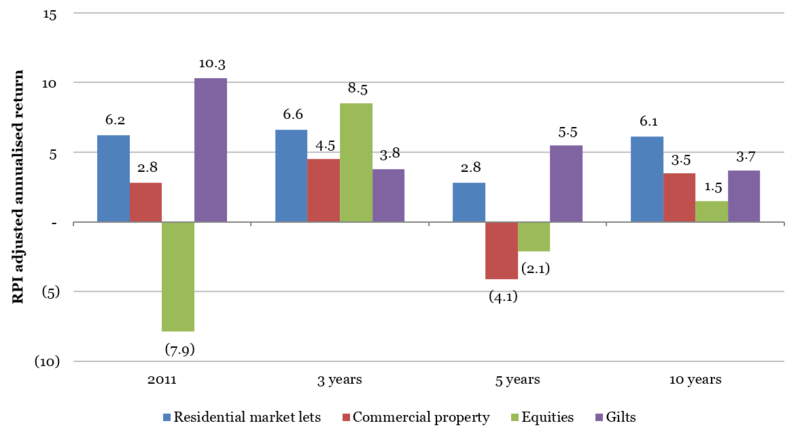 Residential property also tends not to follow the performance cycle of other assets such as equities – ie residential property returns have typically remained stable during periods when share prices have fallen - and as result can reduce the risk and improve the stability of an investment portfolio. The current imbalance between housing supply and demand has been well documented in the UK, particularly during the recent general election. But, the current market conditions appear unlikely to change in the foreseeable future. Demand remains strong across the UK, driven by a growing population (estimated to increase from £65m in 2015 to £69m by 2025 and £73m by 2035), overseas investment, government initiatives (such as Help to Buy), social changes (such as the increase in one person households) and increasing investment from private landlords seeking to capitalise on the growing demand from generation rent. At the same time housing supply has remained at historically low levels. 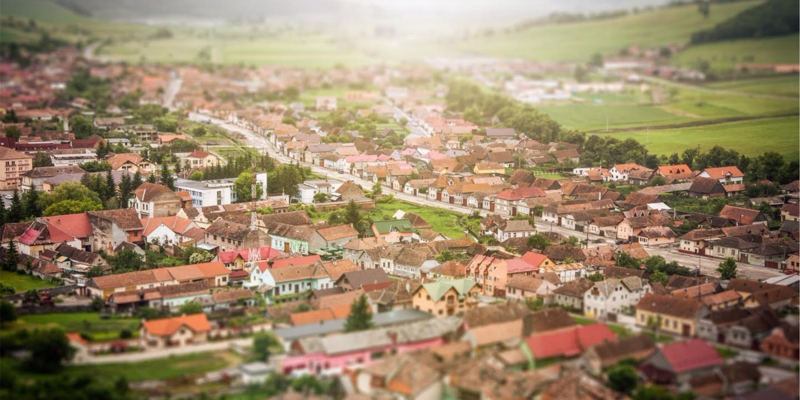 For the 12 months to September 2014 117,000 homes were constructed, which is considerably lower than the 250,000 to 300,000 extra homes that experts believe are needed to meet the growing demand for housing. Concerns over affordability, associated with future interest rate rises and more recently changes to tax rules for private buy to let landlords. Homegrown’s crowdfunding model removes all of these barriers and makes residential property investment accessible to a much greater pool of people. Our team has a significant amount of experience in the residential property market and private rental sector, established through years of advising individual and corporate real estate clients and through private investment. Our aim is to use our experience and relationships to access high quality property investment opportunities that provide the potential to deliver above average investment returns for our community of investors. We will complete a robust and independent review of any opportunity before it is launched on the site and provide regular updates on its performance for the life of the investment.